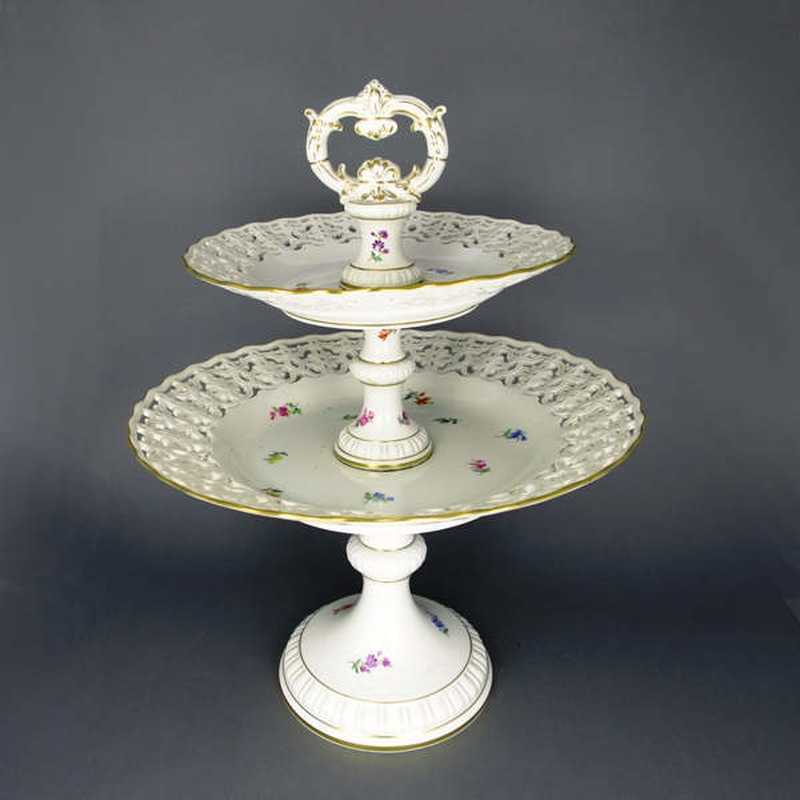 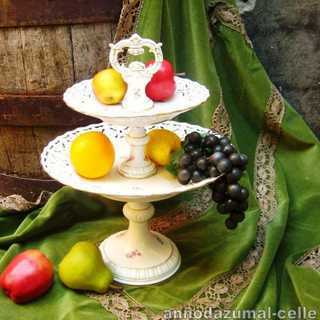 Gorgeous etagere/cake stand made from hand painted and hand gilded Meissen porcelain. Round base with relief frieze, foot with knob, two plate-shaped levels with broad, rich open worked rim, rich decorated handle with rocailles and acanthus pattern. 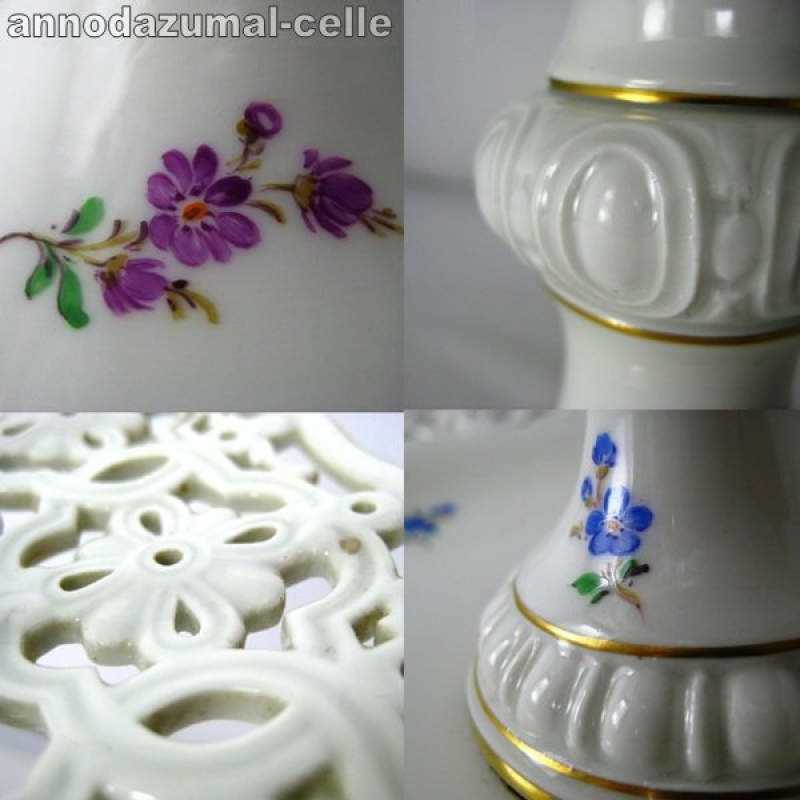 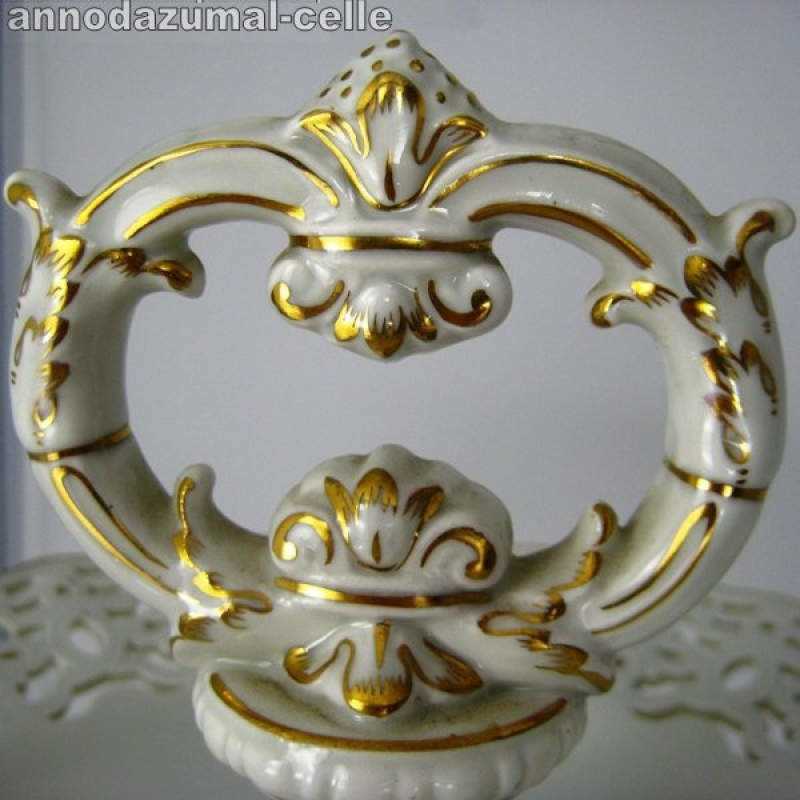 The whole surface is decorated with different hand painted flowers, the rims and edges are gilded. Marked with blue swords. Dating: before 1945. 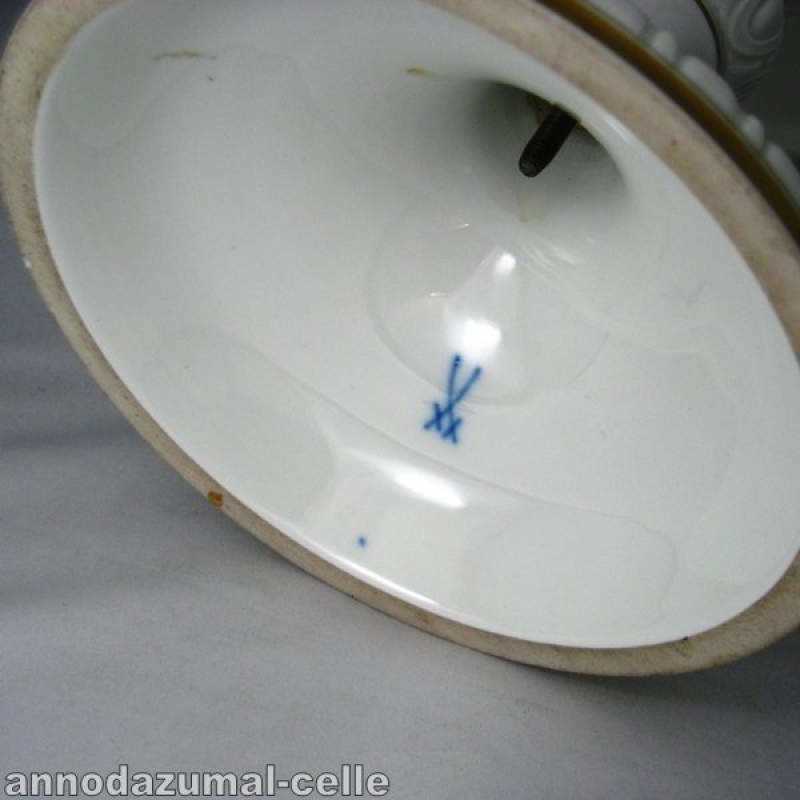 Condition: very well, steady mounting, no chips.